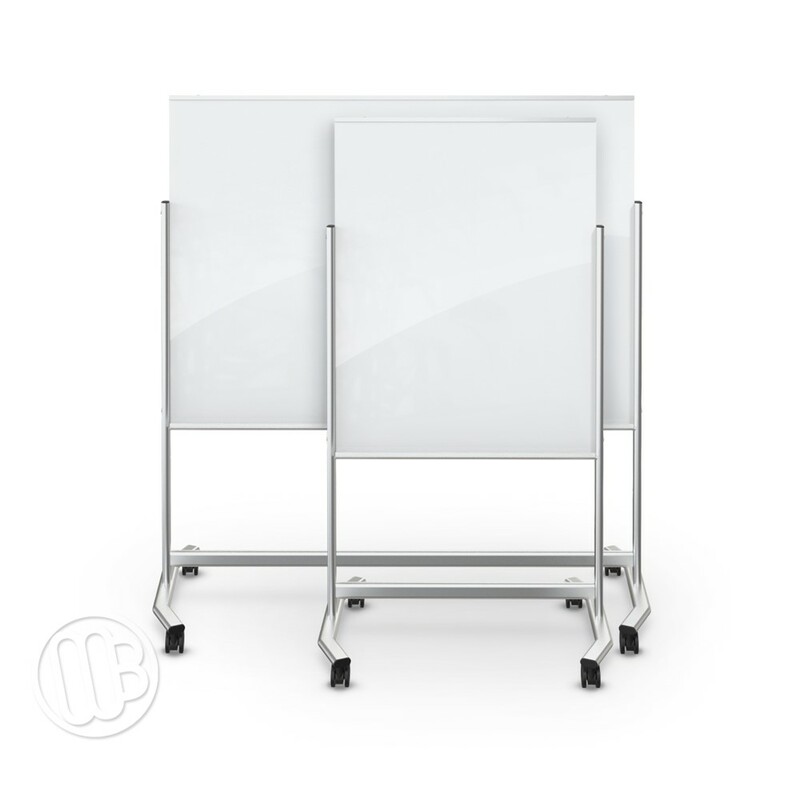 Get up to twice the functional space of a wall-mounted board with a versatile and Visionary™ Move Mobile Magnetic Glass Whiteboard. 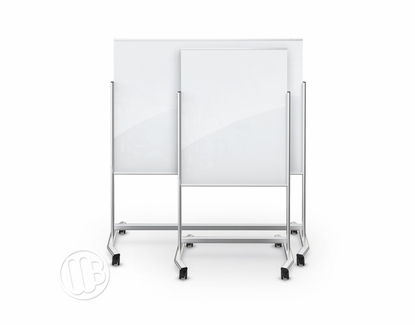 Offered in two sizes with your choice of a smaller 4 x 3 or a larger 4 x 6 silky smooth, glossy white, glass writing surface. 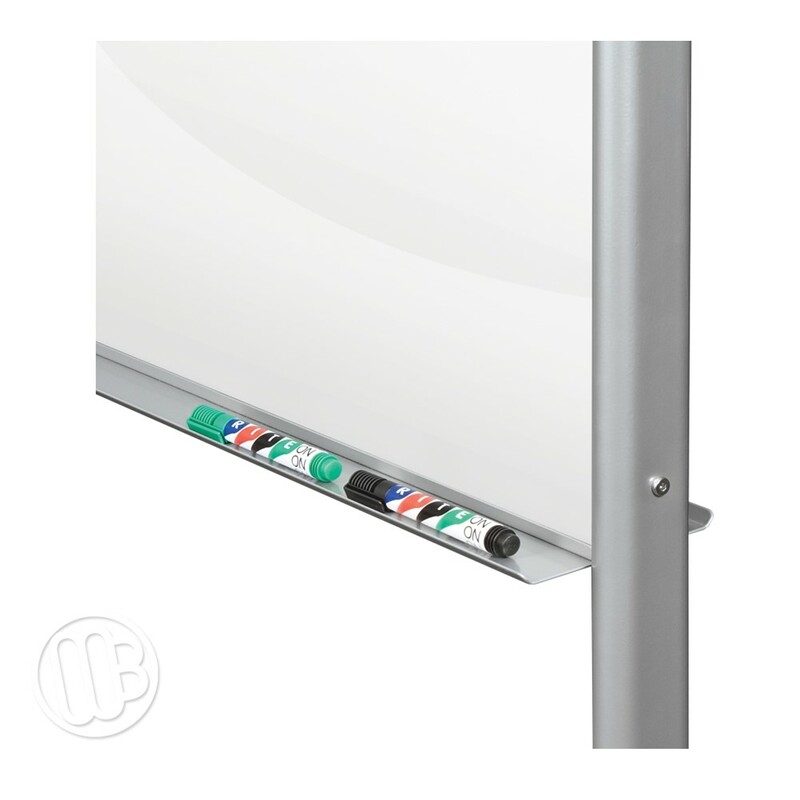 The writing surface works with rare earth magnets. 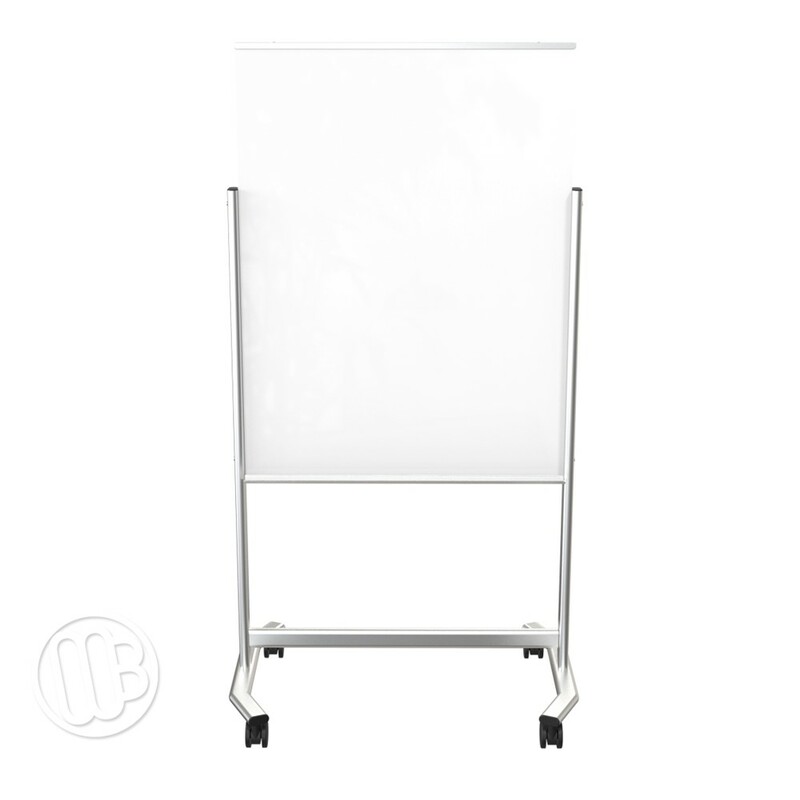 The framing and trim are a really nice powder coated silver steel. 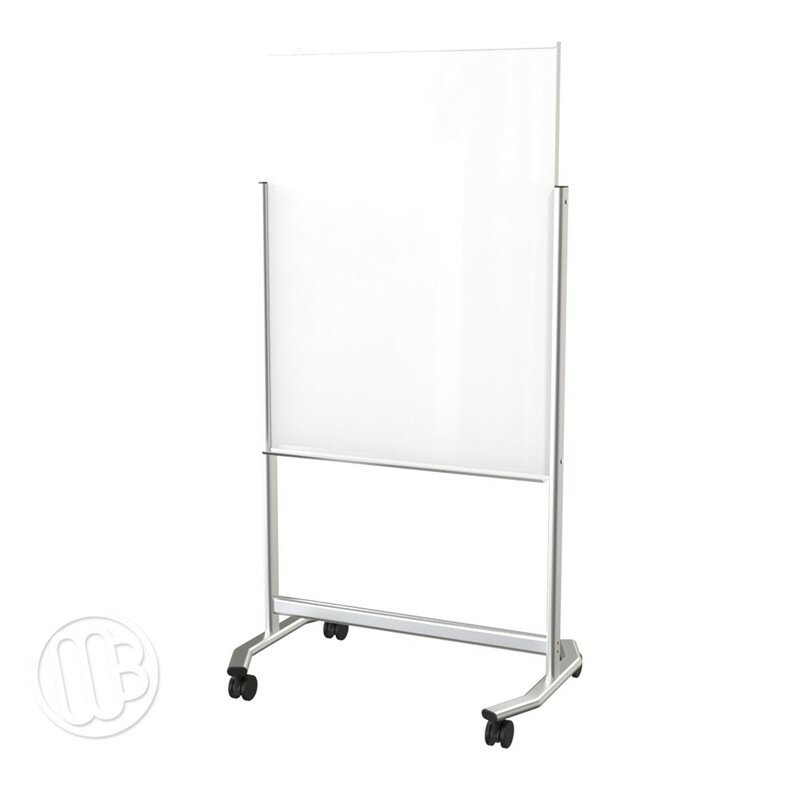 The base is extra wide with locking casters for stability and durability. 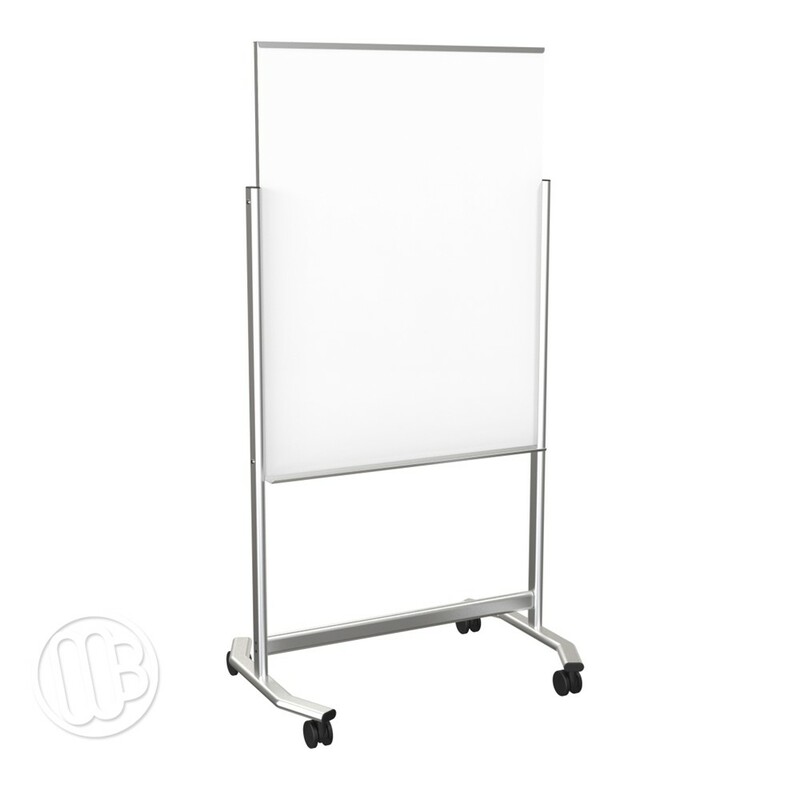 Either unit can be set at a height of 61" or a taller 75" height for optimal viewing. 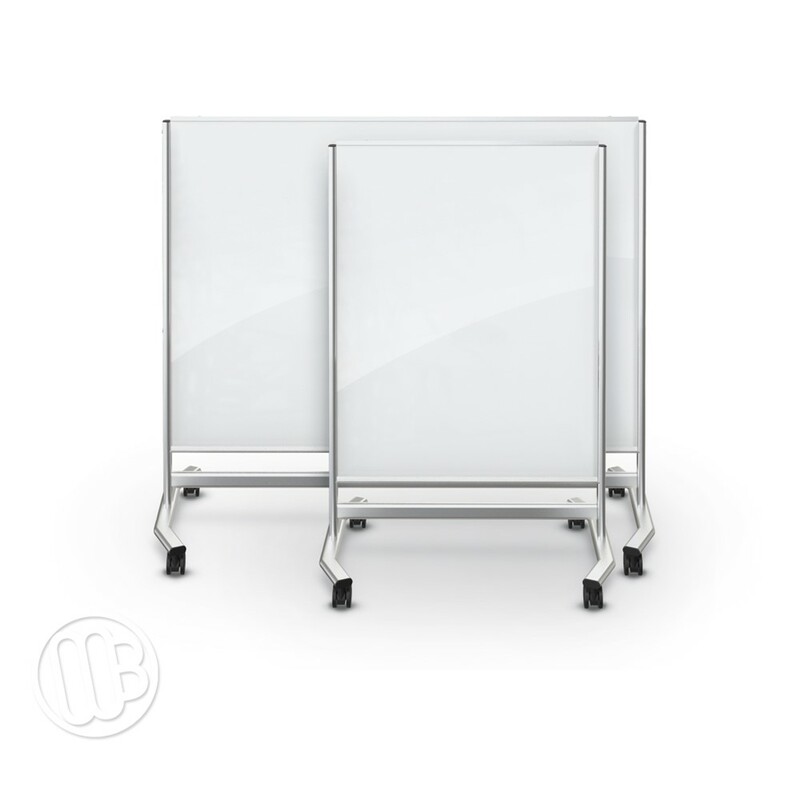 Both product sizes ship by truck and we're sorry but neither product qualifies for our free shipping program at these low introductory prices. Product Weights: 144 lbs. and 220 lbs. Packaged Shipping Weights: 156 lbs. and 360 lbs. Neither size is eligible for our Free Shipping Program.